The Wylie Society is an international group dedicated to preserving the legacy of Dr. Edwin Jack Wylie, a major pioneer in the field of vascular surgery. Through education, research, and collaboration, the Society continues to uphold the values and enthusiasm of Dr. Wylie in the study of all aspects of vascular disease. Initially, the group was composed of the clinical fellows that graduated from the UCSF Division of Vascular and Endovascular Surgery Fellowship Program. Society Members are now also comprised of those honored as Wylie Traveling Fellows (established in 1987) and Wylie Scholars (established in 1996). The group is rounded out with the current UCSF Vascular Surgery Faculty and those individuals that have completed a substantial research project in the Division of Vascular and Endovascular Surgery, (Wylie Research Fellows and UCSF Visiting Clinical Research Fellows). Dr. Wylie’s “commitment to excellence” is the underlying theme for the Society. This commitment applies to all aspects of vascular surgery. All members promote technical competency, clinical expertise, forward progress and mentorship of new trainees in the field of vascular surgery. 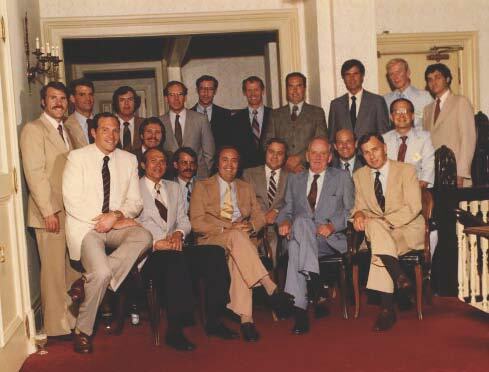 The first gathering of the Wylie Society was held on the Monday evening of the Annual Society of Vascular Surgery Meeting in 1975. This meeting was highlighted by a presentation from Dr. J. Cid Dos Santos of Lisbon, Portugal, the founder of the technique of endarterectomy (1947). This technique was first used in the United States by Dr. Wylie in 1951 to treat a patient with aorto-iliac disease. Dr. Dos Santos’ address was a tribute to Dr. Wylie. The Society has continued this tradition of meeting annually for the past 38 years for dinner in conjunction with the Society for Vascular Surgery Annual Meeting. The 2013 dinner was especially momentous as the SVS returned to San Francisco, where we were able to celebrate 50 years of vascular surgery fellowship training at UCSF.